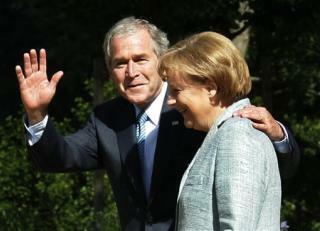 (Newser) – Earlier visits by George W. Bush to Europe have been greeted by massive protests, but the president's valedictory tour of the Old World barely inspired a shrug. "Bush-bashing has become a bore," writes Roger Cohen in his New York Times column. That doesn't mean he's any better liked, though, and the president's "farewell lap, or limp" stands as a reminder of how bad US-Europe relations have become.